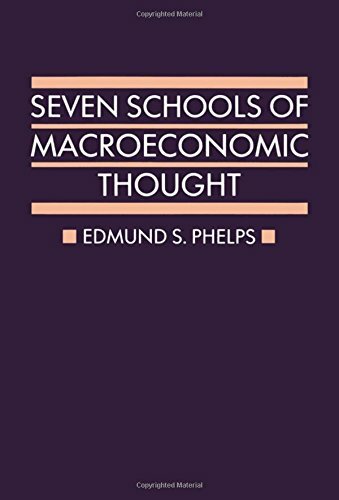 Seven Schools of Macroeconomic Thought offers an excellent survey of various macroeconomic topics that feature prominently in the research agenda and have inspired both theoretical and policy debate. The book presents an authoritative and comprehensive summary and original critique of macroeconomic approaches by a scholar whose own contribution to the field is considerable. In each of his seven chapters, the author reviews one school of economic thought. These are: the Keynesian school of macroeconomics; the monetarist school; the New Classical school; the New-Keynesian school; supply side macroeconomics, and `non-monetary' models of macroeconomics - the real business cycle theory and the 'structuralist school' which views changes in unemployment as the outcome of shifts in the structural characteristics of the economy.